The second MTG Mythic Championship will live test the London mulligan. Wizards of the Coast will test its new mulligan rule (dubbed the London mulligan) in Standard and Modern formats during the second Mythic Championship at the end of April in London. In an effort to create fluid opening hands, MTG has been internally testing a new mulligan process for some time. Many pro and casual players are concerned, however, fearing the mulligan rule change will give certain decks extreme card advantage. 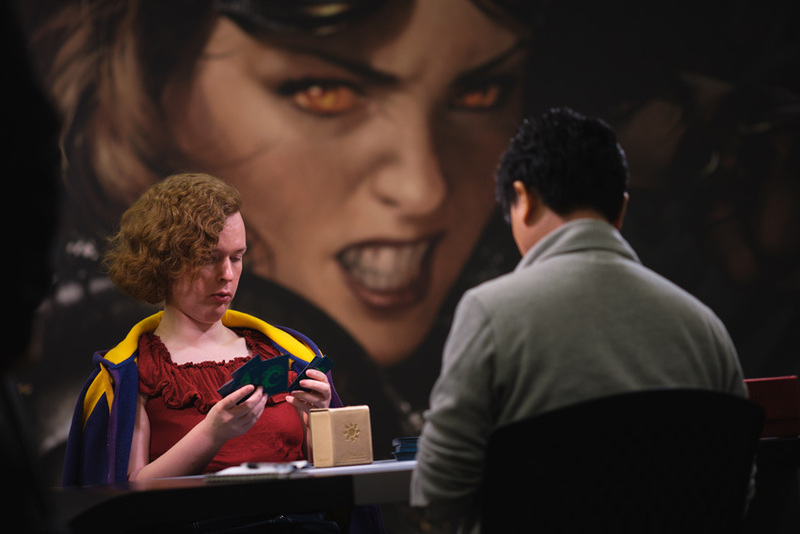 At the end of February, Magic: The Gathering announced a new mulligan rule that will be tested during the second Mythic Championship in London. The tournament has been planned around the release of War of the Spark, and rounds played will feature Standard and Modern formats. The idea behind the London mulligan is to provide better options for players. Many MTG Arena, casual, and pro players know the frustration of seeing an opening hand with zero lands—or with five lands and no creatures. With the London mulligan, players will have the opportunity to draw seven cards even when they mulligan. 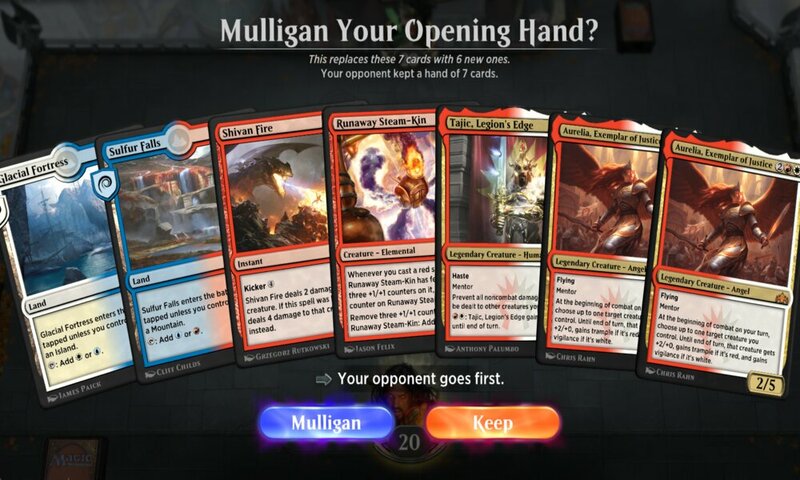 “To take a mulligan, a player shuffles the cards in their hand back into their library, draws a new hand of cards equal to their starting hand size, then puts a number of those cards into the bottom of their library in any order equal to the number of times that player has taken a mulligan,” according to official Magic: The Gathering rule 103.4. The usual mulligan format (known as the Vancouver mulligan) doesn’t allow the player to draw seven cards per mulligan. Each time a mulligan takes place, the player draws one less card for their opening hand and is allowed to scry one. In drawing seven cards per mulligan, a player is allowed to essentially scry additional cards. For Standard decks that play burn, this isn’t an issue. But Modern decks like Dredge can use the London mulligan to their advantage. Many combo decks can easily win a game with just three to four cards. On paper, it seems like the advantage of the London mulligan will go to players with these types of decks. Wizards of the Coast stands by the testing of the London mulligan, which is why the Mythic Championship II tournament will be the official public testing ground. Whether it fails or succeeds, the gameplay should be exciting to witness. Magic: The Gathering London Mythic Championship II will be streamed live on Twitch from April 26 to 28. The tournament will feature the War of the Spark expansion in Standard format, and Modern format without the new expansion.